How to delete my biostars account? 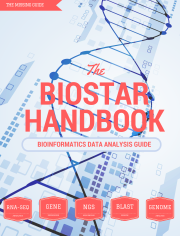 Forum: insert figure and code in the post of Biostars? Forum: [Biostars] How to search for its own questions in "My posts" ? Forum: Biostars meta: Does "Watched tags" work? Forum: Some older questions with answers displayed as open. Forum: How to follow user on biostars? Forum: Is it possible to receive notification for posts with keywords? Forum: Can Biostars use question template like Github issue/PR? Forum: Why some questions in OPEN section of the Biostars.org have "(Closed)" at the beginning of the question? Forum: How to delete my post in biostars ? Forum: Can we have some helpful advice for posting questions near the question form? Forum: Biostars 3.0 under development. Visitor location is now displayed with a widget. Forum: How to vote on answers when using mobile site?